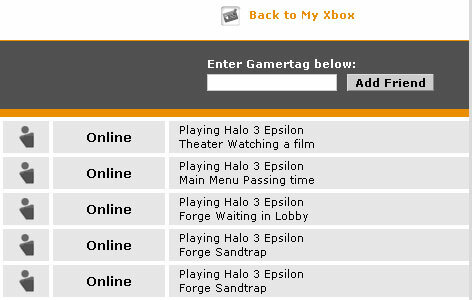 Today, several Xbox Live users have seen people on their Friends List playing "Halo 3 Epsilon." For those who don't know, Epsilon is the fifth letter of the Greek alphabet, and just like alpha and beta are used to designate applications that are early in development, Epsilon is used for code that is close to its final build. We noticed some Xbox Live users were playing "Campaign on Normal," while most of those playing "Halo 3 Epsilon" were playing multiplayer or watching a Saved Film.